Though having high-quality photos and a well written description of each room in your home are critical components to your listing, having a professional floor plan will also help to step your game up when advertising and promoting your home. The size and overall layout home is one of the most, if not the most overall, important selling feature when you have your home listed on the market. If you're looking to add further credibility to your home, then having readily available floor plans is the perfect way to do it when selling your home. A floor plan can be so much more than just using numbers, basic geometry, and legal confirmation for the claimed size of the home in order to grab a seller's attention. In fact, using an interactive 3D floor plan is a great way to improve your marketing strategy will help turn something that would normally be boring and bland into something beautiful. 3D floor plans work as models, think of something like a doll house, to show potential buyers exactly what the home looks like from above, or if you have a plan that looks as if your home is literally cut in half. Unlike photos, having an interactive 3D floor plan literally and physically puts everything into an animated perspective. If the property you are currently selling has tenants renting and living in the space, then 3D floor plans are the best way to ensure that the full potential of the home, building, or whatever the case may be has a chance to be completely showcased. You'll still have to show the property, but a floor plan gives the seller a chance to see it without the tenant's belongings skewed everywhere. If you were given floor plans by the seller that you purchased the house from, but have renovated the home during your time living there or renting out the space, the original plans cannot be used. When it comes to MLS boards, they are nightmarishly specific over measurements that can and cannot be included. Floor plan technicians specialize within real estate measurements, and keep up to date with the local regulations, as well. When it comes to pricing, big differences are affected by small differences, so playing the guessing game here simply will not do, as you could very well miss out on space that is valuable. Using a tape measure will ensure that you get at least one error, if not plenty more, but by going with a floor plan technician, your home will be measured down to each 1/16th inch. As a seller, you'll need to look at all of your available options when it comes to marketing, and using a virtual, 360 tour is a great way to showcase all that your home has to offer to potential buyers. 360-degree panoramic photography enhances visualization by showcasing an entire room in one full, beautiful shot, without missing a square inch. Potential buyers will be able to view the property in a way that's ten times better than traditional photography, considering a virtual tour allows the location to be understood more easily. Interestingly enough, potential buyers of higher quality are generally attracted through a virtual tour, because of how exquisite the photographs turn out. 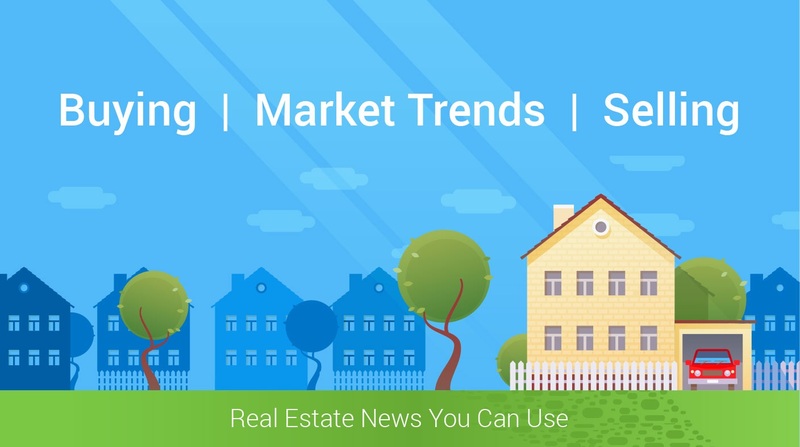 Though most people assume that virtual tours are only used for establishments such as hotels, resorts, and restaurants, for example, sellers who use a virtual tour within their listing are using one of the best marketing tools in real estate to their advantage. In fact, 75% of potential buyers who took place within a real estate study commented on the fact that they were more into seeing a virtual tour in a listing rather than normal, traditional photographs. Listings that incorporate virtual tours are viewed by approximately 40% more when compared to listings that only had traditional photographs to offer. Neighborhood marketing can be incredibly tricky when a seller tries to tackle it in order to use it as a tool to sell their home, but when it's gone about properly, and all of the proper foundations are in place, neighborhood marketing can be used to your advantage. Keep in mind, however, that neighborhood marketing generally fails because it's often confused with getting publicity for neighborhood watch and other housing programs and activities, for example. A revitalization strategy that is both comprehensive and designed around the overall strengths and weaknesses of the neighborhood, which could mean targeting a specific market of potential buyers, for example. Overall, the only way that neighborhood marketing will work to a seller's advantage, is if their home is located in a stable, together neighborhood community. Otherwise, it will not work, and should not be used as a marketing tool whatsoever. Aerial video tours are the perfect method for a dynamic way to showcase each aspect of a seller's property in order to give a potential buyer viewing your online listing a full view of the exterior of your home. Using a smartphone to take quick pictures and videos is practical, but the quality of the end results will definitely cost you some points, whereas using aerial photography and video would put you through the roof. The true shape, layout, and overall size of your home is properly and easily captured through the use of the drone used for the aerial photography. Considering the majority of potential buyers conduct all of their research online or through their real estate agent, who is more than likely also looking online. Therefore, having a video walkthrough is one of the smartest things that a seller can do when it comes to utilizing all available marketing tools to sell their home. In short, video walkthroughs are created through the owner doing a walkthrough of the entire property in which they show everything that you normally would during an open house or general showing. This gives prospective buyers a view that is more intimate, maximum exposure to the entire property, and will help you to weed out buyers who may waste your time. Ensure that all personal items are put away, in a closet, for example, if the property is not completely vacant, or if it's in the process of being vacated. Ensure that your property has the proper lighting in order to be ready for the camera, which may require you to open up the shades and your windows, but you can experiment to see what works best for every room. Keep the video under at least 10 minutes long, if it all possible, to ensure that it is more likely to be watched rather than skipped completely. It also would not hurt to add a couple of pictures as well, but make sure that your video walkthrough of your home for sale can be easily found within your listing. Video walkthroughs overall are one of the best marketing tools to use, as they will mainly help you to weed out prospective clients who are at risk of wasting your time, and may be too picky.